I have vivid memories of Thanksgiving as a child. The turkey. The sweet potatoes. The mashed potatoes. Nothing fancy, but they were certainly tasty. 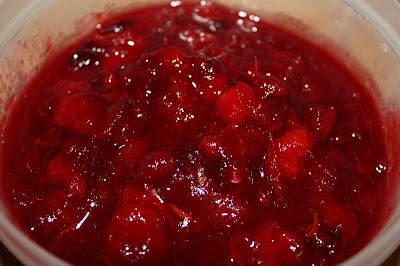 Then there was the cranberry sauce. Like many other families, we cracked open a can. I remember watching it slide out of the can in fascination. Slicing it just so, as you could still see the ridges of the can imprinted on the sauce. The cranberry sauce was more science experiment than food item. I always thought that's what cranberry sauce was all about. Until one day, many moons later as an adult, I had real cranberry sauce. My taste buds sang. This is what cranberries really taste like! 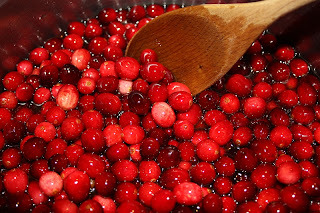 Since then, we eschew the cans, and make our own cranberry sauce. If you've never had the real thing, I encourage you to try. It's super easy to make, and the results are wonderfully flavorful; and a fabulous addition to your holiday meal. Here's how I make our sauce! First, put the water and sugar in a large sauce pan and heat over medium heat, stirring as the sugar dissolves, until the mixture begins to boil. Next, stir in the cranberries, orange juice, cinnamon, and allspice. 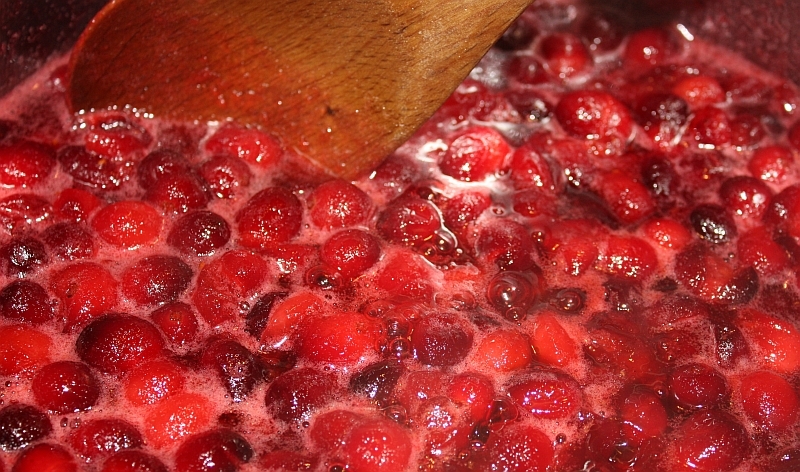 Bring to a boil again, then simmer for 5 to 10 minutes, until all the berries have burst. You can see that now it's more "sauce" and not so watery anymore. Remove from the heat, and stir in the orange zest. Place the mixture in a small container or serving dish and cover until cool. Refrigerate for at least 2 hours, and then enjoy! 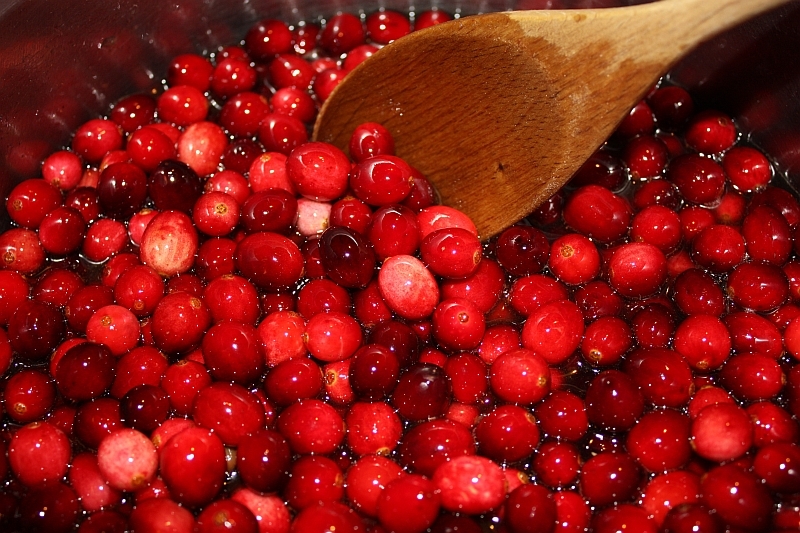 Wash cranberries and remove any shriveled or discolored berries. Zest half of the orange and set aside. Juice the orange, reserving juice in a small bowl until needed. 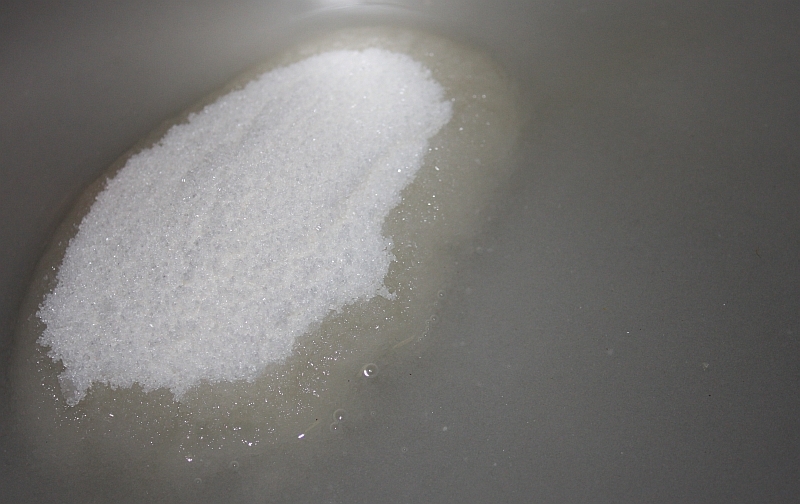 Place water and sugar in a large saucepan, stirring to combine. Bring to a boil over medium heat. 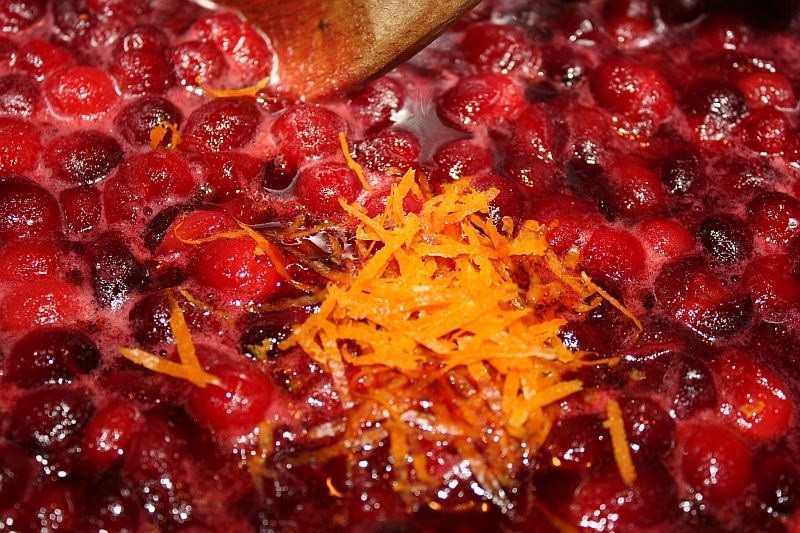 Stir in cranberries, orange juice, cinnamon, and allspice. 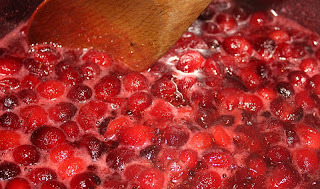 Bring to a boil again, then reduce heat and simmer for 5 to 10 minutes, until all berries burst, stirring frequently. Remove from heat and stir in orange zest. Allow to cool then refrigerate for at least 2 hours before serving. This sauce will thicken as it cools, so don't be alarmed when it isn't thick when you're done cooking. Also, this can be made a few days in advance -- it will only get better! This post is linked to the following blog parties. Please visit them for great recipes and craft ideas! This looks amazing! I only made homemade cranberry sauce once before. It turned out a bit too tart, so we never tried it again. You've inspired me...I may just have to give it another try! 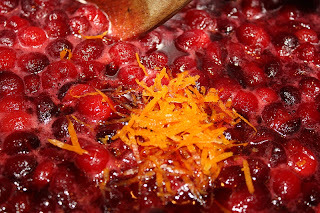 Stopping by from Thanksgiving Recipes 2011 over at It's a Blog Party! LOL I think we all ate the canned stuff. This looks easy enough for even me!